I really enjoy watching HGTV and really like renovation programs. Usually these types of shows never really show the process. Many of these homes that get renovated are built before 1978, the year lead based paint wad banned. Lead Paint regulations have been regulated in homes and a possibility to do the same in commercial buildings in the near future. Other factors to reduce lead have been in the plan. The Reduction of Lead in Drinking Water Act was signed into law three two years ago and will go into effect very soon on January 4,2014. Programs like the "Renovation, Repair, and Painting Program and EPA lead safe certification programs also give guidance to contractors on the precautions and training that is needed to remove lead safely and dispose of it safely as well. 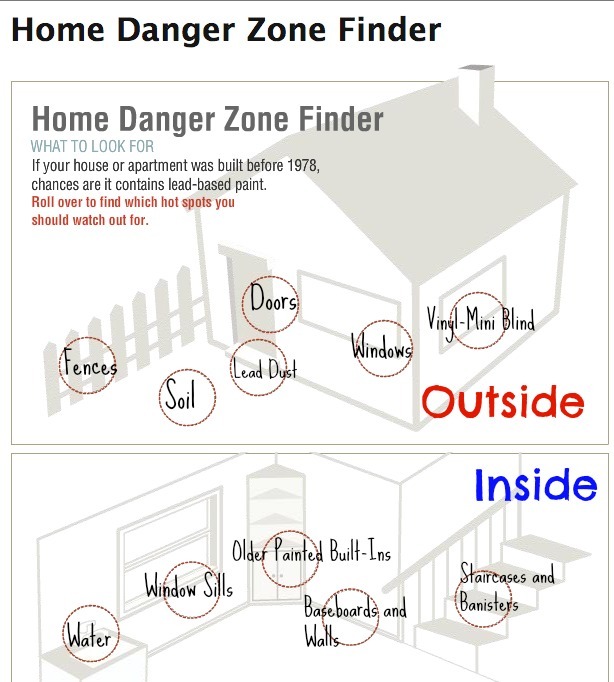 The EPA, has an interactive Home Danger Zone Finder tool that gives you more information on where lead can be found in your home. Check out the tool, it gives you basic information on places inside and outside of your home that could contain lead. If you find or know that there is lead in your home, the removal process should not be a DIY and we advise to contact a professional. If you need assistance removing any lead in your environment, Alliance Environmental is a certified lead-removal contractor who follows strict procedures to minimize, control and contain the lead dust created by the removal process.